HTC has announced it will launch a mobile virtual reality headset - but this one might be different to other smartphone VR devices. The headset will work with HTC's new U Ultra phone, CFO and president of global sales Chia-Lin Chang told Cnet, however it could work differently to the likes of Daydream and Gear VR. "We have a good plan in terms of combining mobility with VR," said Chang. "Vive is very top end, and in the coming months you'll see our plans in terms of mobility and VR, and it's not a phone slapped onto a headset." Chang added, "It'd be a different thing", but what could that mean? We assume something that's closer to a high-end system like the HTC Vive itself, perhaps even a mobile adaptation of the SteamVR platform. Read next: Is VR about to reinvent fitness? Or it could mean a mobile VR platform that supports room scale tracking, most likely using outside-in technology. It could also mean support for controllers like the Vive's. Really there are a lot of things it could mean, but Chang promised we'll see the mystery product by the end of the year. HTC's promise of something a little different is certainly intriguing, and with the company set to do some interesting talks at GDC later this month, we're hoping it will drop a few more clues before long. 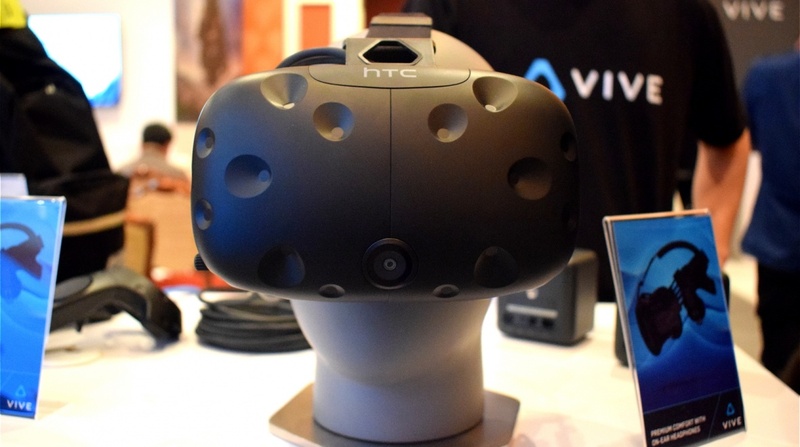 Speaking to Wareable recently, HTC suggested it might be a while before we see the Vive 2. Stepping into mobile VR makes a lot of sense for the company, which is also needs to greatly boost its smartphone sales right now.